30km North of Gap via the N85. 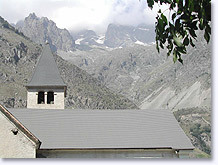 Valgaudemar is one of the wildest valleys in the massif of Ecrins. 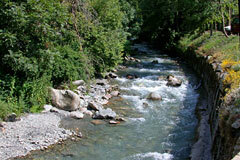 At the bottom of this valley thirty kilometres long flows the Séveraisse, bordered downstream by pleasant wooded landscapes, which then give way to severe high mountains with steep slopes, punctuated by waterfalls and mountain streams. Here you enter the majestic kingdom of peaks over 3,000 metres, such as Les Bans (3,669 m), Olan (3,564 m) and Les Rouies (3,589 m). In such a tough environment - where snow is on the ground for six months a year and the terrain is difficult - the farmers of Valgaudemar survived for centuries, succeeding in growing wheat, vegetables and even vines. They built homes perfectly adapted to the climate; solid, square, built using dressed stone. The room where people and animals lived together was on the ground floor. The entrance to the house was protected from the snow by a "toune", a large vaulted archway (often painted with lime, then coloured white or blue), above which a stairway led to the barn. Later on (in the 18th century), the locals used thatching - a good insulator - for the roofing. There are still a few thatched roofs in the hamlets of Le Bourg, Les Portes and Casset. From the Middle Ages onwards, bread was made using the flour obtained from several mills, located on the banks of rivers or streams. 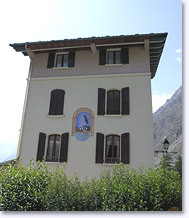 The only surviving mill - the "Bellon" mill at Villar-Loubière - was built in 1838, and can be visited in summer. Don't miss out. The fashion for mountaineering at the end of the 19th century attracted many English people to Valgaudemar. History will retain the name of Coolidge, who in the 1870's undertook the ascent of several of these summits. 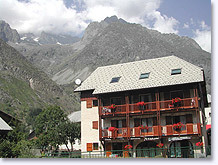 Then came the time of rural exodus and the death of the hamlets, until in 1973 the Ecrins National Park was created. Since then, if you like authentic natural environments you'll love the Valgaudemar in winter with its cross-country skiing runs (at Saint Maurice, 32 km of runs) and the downhill skiing in the tiny resort of Saint Firmin (2 ski lifts - 4 runs of 4 km). In summer, mountaineering fanatics go in for mountain races, heading for the numerous peaks that are over 3000 metres (to Les Rouies, 1189 metres difference in elevation, or the Jocelme Peak, 1407 metres difference in elevation!) or shorter hikes, to the Brèche d'Olan (2970 m) from the Fond-Turbat refuge, (776 m difference in elevation) or Col de la Sée from the Souffles refuge. 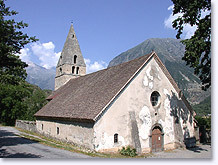 Although the valley has several municipalities, from the largest, Saint-Firmin (438 inhabitants) to Villar-Loubière (62 inhabitants), it's undoubtedly La Chapelle en Valgaudemar, at the end of the road, which is the main "spot" in the Valgaudemar valley.